Quiet location in desirable Kensington-Cedar Cottage neighborhood. 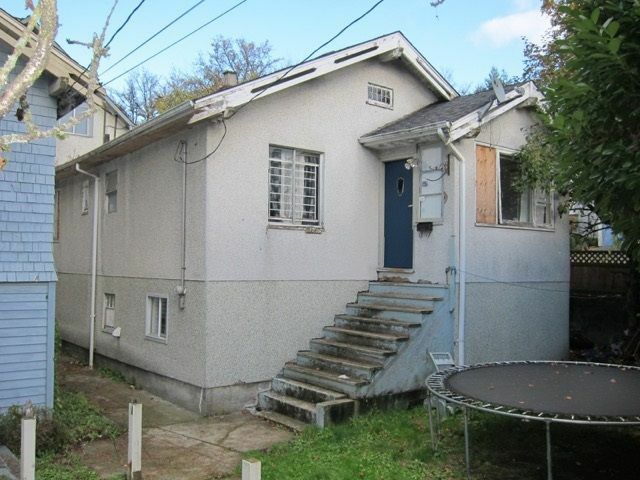 Two bedroom bungalow with two bedroom basement suite on a 37.7x66 ft corner lot with RT-10 two family zoning. NB: 3.75 foot easement on west side of property. The house needs lots of work but at this price it's well worth it. Nearby schools: Selkirk Elementary (1750 East 22nd Ave) and Gladstone Secondary (4105 Gladstone Street). Longtime tenants would be happy to stay on. Please give notice for showings. Don't miss this opportunity.